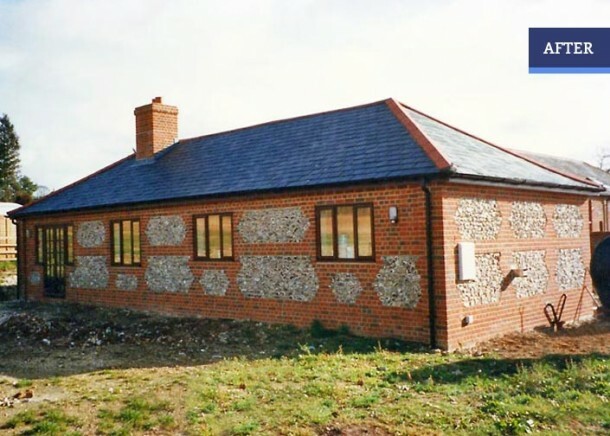 We converted a farm dairy unit into a two bedroom bungalow with a slate roof, and brickwork with flint panels. The sitting room had an open fireplace, and French windows to enjoy the rural views. 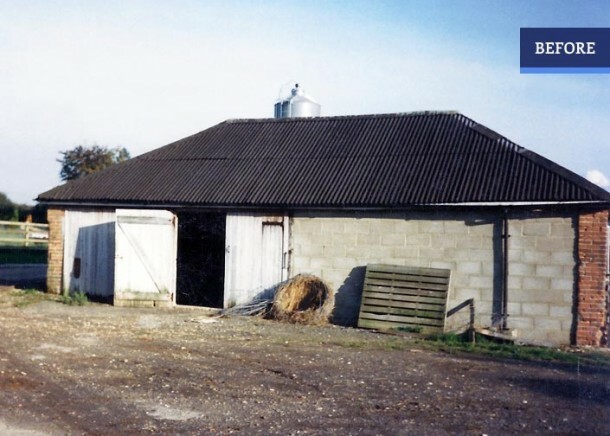 We built a garage for this property as Phase 2.